We believe in finding the shoes that will have you say, “Ohhh yeah, that’s it!” when you slip them on. The process to get you there takes a bit more time, but its worth it! Getting to know you – We’re a friendly bunch here at The Runner’s Gait, the kind of people you could take home to meet your parents. Before we start throwing shoes at you, we want to find out more about your running background, your goals and your injuries (if any). Measurement – If you have a cupboard of shoes at home and know your shoe size, thats great! If not, no worries. Even if you do, we’ll measure your feet just to make sure we get the size right. Even though its not always about the size with some things…it certainly is with shoes! Checking your arch – Next we’ll get you to stand on our Footdisc thermo scan. Similar to a wet footprint test, less the messy puddle of water, this will help us determine your arch type (flat, low, medium, high). Right after, we’ll ask you to do a few static movements so we can confirm what we’re finding out about you. The Shoes – Now we bring out some hot shoes for you try out. 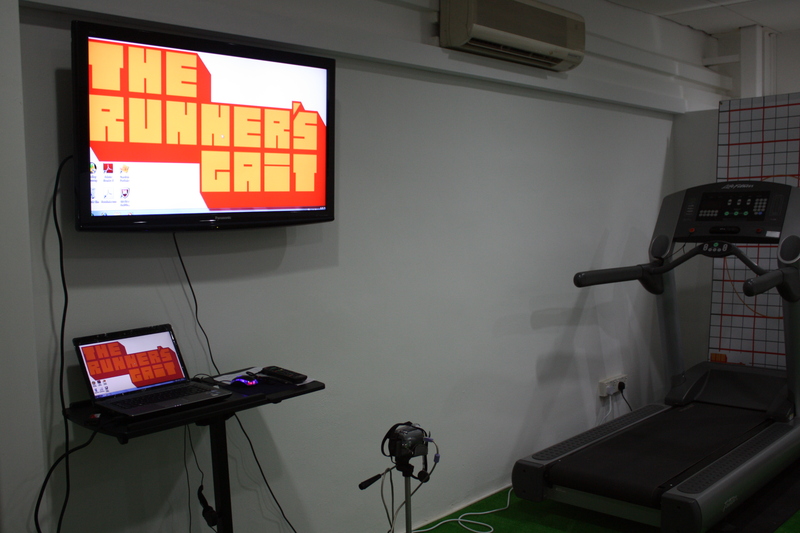 Basic Gait Analysis (optional – $50) – If you’re up for it, we then proceed to the lab at the back of the store to spend some time on our treadmill. Here we video you running on the treadmill (either barefooted or in shoes) which we immediately analyse using our Dartfish motion analysis software. If you’ve never seen yourself run, now’s the time to start! Time to choose – You’ve been measured and fitted, you’ve tried the shoes and seen the results, now you’re left with making a decision! Much like Morpheus, we can show you the door, but you have to walk through it. It is important that you choose the shoe that you are most comfortable in. The world’s best runners can make 10000 recommendations, but only you know what feels the best! Go out, run and be happy! 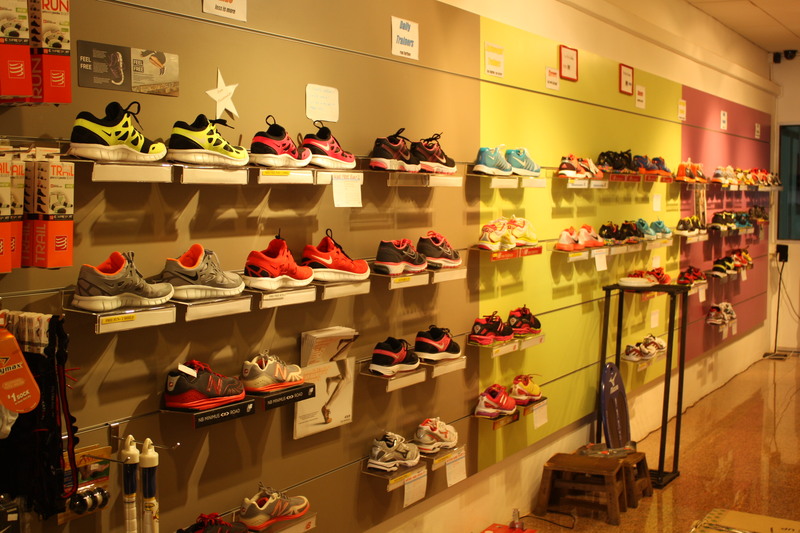 – We’re here to help with all your running needs. In the mean time, go out and enjoy yourself! Remember to break in your new shoes and don’t be afraid to get them dirty. Happy running, we’ll see you out there! Hi was wondering does all these test comes with a cost?o.O if yes, hw much? Otherwise, everything else from finding out about your habits, sporting history, arch type and needs is complimentary and part of our service to make sure you get the right pair of shoes for you. hi…was wondering if you do testing and fitting for children as well? thankyou. Hi, it depends on how old your children are. We don’t actually carry children shoes, but we can certainly still advise on appropriate footwear even if we do not have the sizes. My sons are 10 and 9..Im concerned especially for my eldest as we suspect hes flat footed..he seems to run differently…Ive got a high arch myself and use a special insole for my shoes. Hi Inshera, you can actually perform a “wet paper test” at home to check your son’s foot type. It is like leaving an imprint in the sand. Just wet his feet and ask him stand on a piece of newspaper. You’ll be able to tell straight away what sort of arch he has. Otherwise, we have a Foot Plate that uses a heat sensitive overlay to get the imprint of one’s foot.